Gravely makes a wide variety of lawnmowers, including walk-behind and riding mowers, and has done so since 1916. There are a variety of reasons your Gravely mower may refuse to start and you can find and address many of them. Different types and models of mowers have standard levers and components in different positions. Consult your owner's manual for information specific to your mower. If you can't use your lawnmower your lawn starts to look like a hay field. Check the fuel. Fill the tank if it is low. Empty the fuel tank and carburetor and clean or replace the fuel filter if there is water in the tank. 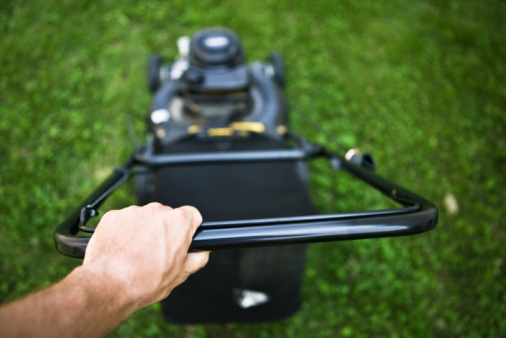 If the fuel is low, stale or contaminated, the mower will fail to start. Inspect the spark plug and the wire. Replace a damaged spark plug. Remove and clean the spark plug if it is dirty or installed incorrectly. Secure the spark plug wire if it is loose. Replace a blown fuse on a riding mower. The fuse is under the seat near the tire on the right hand side. Examine the battery. Clean corroded terminals and replace or recharge a dead battery. The mower can't start without a power supply. Check the oil. Fill the tank. Change the oil if it is old or contaminated with debris. Observe proper starting. For example, for walking mowers, set fuel shut-off to "Open," push primer the bulb two or three times, place the throttle in "Choke" position, hold the engine-blade control against the handle bar and pull the starter rope. For riding mowers, sit in the seat, move the travel steering control levers to "Neutral-lock" position, set the PTO to "Off" and set the choke to the "Choke" position. Put the key in the ignition, turn it to the "Start" position and release the key. Consult the owner's manual for instructions specific to your model. Check the engine-blade control cable. Repair or replace the cable if it is damaged. Adjust the cable if it is loose. If the cable is not connected properly, or is faulty, the mower won't start. Shut off the engine and detach the spark plug before working on the cable. Dee Em started as a part-time writer for "The Little Gazette" in 1993 and in May 2010 started to write instructional articles online. She has earned a degree from the New Liskeard College of Agricultural Technology and is working on her Associate of Arts with the College of New Caledonia.